Gov. Peter Shumlin’s critics, liberal and conservative alike, have always doubted his resolve to create the nation’s first single-payer health care system. On Wednesday afternoon, Shumlin proved them prescient. In an extraordinary about-face, the man who built his political career on the promise of bringing universal, affordable health insurance to Vermont said that, within the last five days, he had suddenly concluded that doing so would damage the state’s economy. “It became clear that the risk of economic shock is too high at this time to offer a plan that I can responsibly support for passage in the legislature,” Shumlin told a rapt crowd in a first-floor hearing room of the Statehouse. No doubt it was equally disappointing to those who took Shumlin at his word when he first ran for governor in 2010 pledging to “get tough things done” like turning single-payer from liberal dream to reality. Or to those who believed him when he said it again two years later during his 2012 race for reelection — or again two years after that. Indeed, as Shumlin formally launched his latest campaign this September, he drew enormous applause when he singled out Vermont Health Care for All founder Deb Richter and her quest for single-payer. Apparently, he decided to take a breather after all. 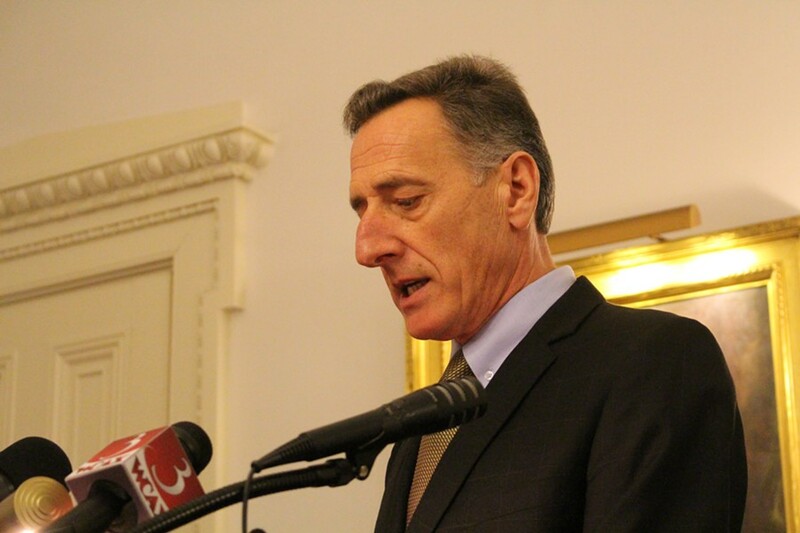 During Wednesday’s press conference, Vermont Public Radio’s Peter Hirschfeld asked Shumlin whether he regretted looking Richter in the eye at that September announcement, promising once again to finish the job. “Do you wish that you hadn’t told people that you were going to get this done over the past four years?” Hirschfeld asked. That’s a mighty generous characterization of his own follow-through. From the outside, at least, it appears that Shumlin simply sought to reap the political rewards of a promise he could not deliver on and then flinched before “tak[ing] on the big challenges” of defending it in front of the business community and the legislature. Of course, anyone who’s listened closely to the governor’s rhetoric in recent months should have seen the Great Cave coming. Even as he promised a panacea to his liberal supporters, Shumlin winked and nodded to everybody else and left a mile-wide opening through which he could escape. At least Shumlin kept one of his promises. To be sure, the governor sounded eminently sincere and completely reasonable Wednesday when he laid out the enormous obstacles in the path of implementing a fiscally sustainable single-payer system. 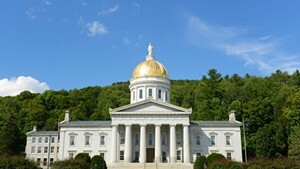 The taxes required for a plan providing sufficient benefits to make the transition worthwhile, he said, were “in a word, ‘enormous.’” Taxing employers 11.5 percent of their payroll and all Vermonters up to 9.5 percent of their income would be enormously disruptive — even if it resulted in the savings Shumlin spent years promising. And the logistical hurdles he cited were equally compelling: the difficulty of obtaining a federal waiver, the expense of easing small businesses into the system and Vermont’s worsening revenue forecasts. But Shumlin is a very smart man. His top health care advisers — Robin Lunge, Michael Costa and Lawrence Miller — deeply understand health care policy. So it is literally beyond belief that they didn’t see these challenges coming. The notion that they obtained some new scrap of data last Friday that utterly changed the game is entirely implausible. More plausible is that Shumlin finally recognized the unmistakable political reality that he was unlikely to sign into law anything close to what he’d been promising for years — so he decided to just cut his losses. After narrowly winning a plurality of the vote last month, Shumlin found himself with little political capital — and his putative allies in the legislature showed no sign of coming to his assistance. It’s been clear for months that the governor lacked the votes to pass single-payer in the Senate. House Speaker Shap Smith (D-Morristown) and the leaders of his Democratic caucus have made plain that they’re far more interested in tackling education finance in the coming legislative session. And even Burlington Progressives, who ostensibly believe in nothing more than universal health care — such as Sen. Tim Ashe (D/P-Chittenden) and activist attorney John Franco — have distanced themselves from the administration’s approach. Blood was already in the water after Shumlin nearly fell to political novice Scott Milne in November. Now that the governor has capitulated to those who’ve always opposed his signature policy priority, he has forfeited the perception that his political skills are to be feared and respected. More importantly, he has lost any remaining credibility that he means what he says. “The scrutiny it has received over the past four years?” Really? Already, it seems, Shumlin has adopted a passive voice, shrugging his shoulders as if he’s confused about why anyone expected him to actually deliver the goods. Now that his political Ponzi scheme has tumbled to the ground, what is left is the shell of a governorship, devoid of credibility and purpose. Since Milne made clear in the days after the election that he would not concede to Shumlin, the incumbent has said that he would not want to be governor if he had not won the most votes. What’s unclear now is why Shumlin would want to be governor if he’d come to the conclusion that he was unable to keep the promises he made to get elected.